One of the strongest cravings of the human heart is for a beloved – an object of affection one can hold onto through thick and thin, someone one can snuggle with on cold nights, a person with whom we can share a love so deep that each cell of our body might become immersed in pure ecstasy. 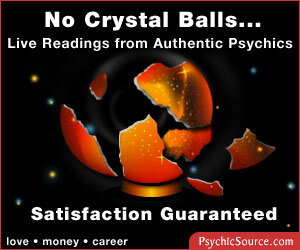 People can choose any kind of crystal to utilize in their work, and some even say it is the crystal that chooses you. Throughout the ages, cultures have used dance to heal disease, commune with the heavens and celebrate life itself. In modern times our culture has lost track of the power of dance to heal. A lot of our younger population still loves to dance and move to music; but as we age most of us lose our connection to dance and free form movement. One problem that most of us on the spiritual path have faced at one time or another is the issue of feeling lonely when those we love seem to not be able to understand or support us. It is true that spirituality can sometimes feel like a very lonely path. Blessings, beautiful Angels of light. Yes, you are an Angel, come to earth to experience living in the physical world, with all of its challenges. And being human does have its challenges, among them, difficulties in relationships with others. Question of Personal Belief – What Should You Believe in? Even though religion is a collective concept, faith is a very personal subject. We can be part of a collective whole, a school of religion, that believes in a certain way of life, and yet have our own very unique ideas about what accounts for a fulfilling existence. We all go through those periods in life when everything feels like an endless battle. It seems as if we are walking with bloodied knees and bruised arms through an endless tunnel of darkness with no hope for the sun ever showing up. During such times, our faith is shaken to the core – hope seems like an impossible endeavor because there is no assurance or guarantee that there is light at the end of the tunnel.